Roasted raspberries are delicious. A little more delicate than strawberries therefore, raspberries need to be handled with care. 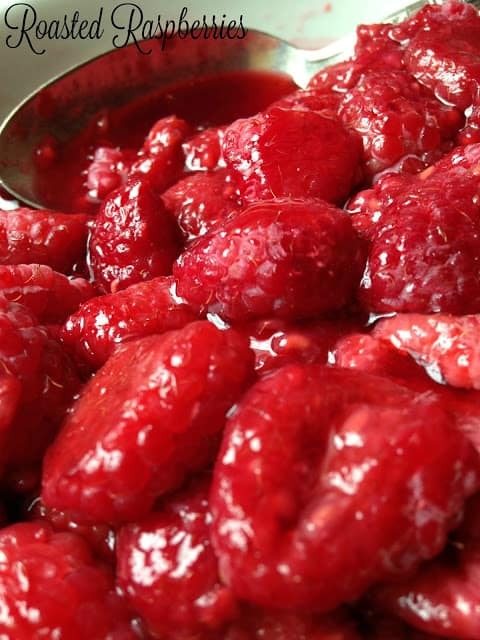 A few easy steps are all that is needed to ensure the best roasted raspberries. Roasting time is between 10-12 minutes and remember to gently shake the baking sheet often. Transfer the berries to a bowl after removing from the oven. Allowing the berries to “rest” a few minutes will allow the sweet, delicious juices to form in the bottom of the bowl. 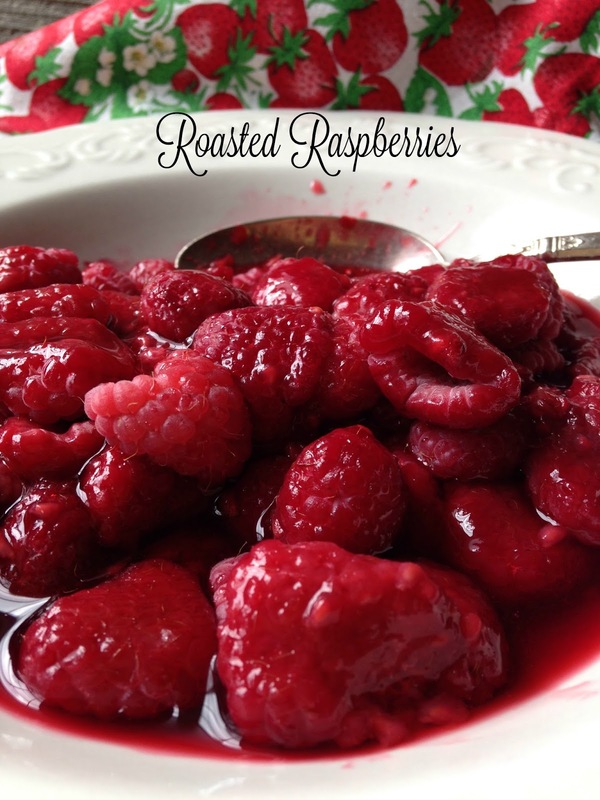 Follow these few easy steps and you’ll be enjoying fresh roasted raspberries in no time flat. Have you ever tried roasted fruit? If your answer is no, then you need to get going and try it. Start with this recipe and you’ll be roasting every fruit in sight. Roasting fruit brings out its natural sweetness and allows the fruit to release more juice, making roasted fruit sensational. Fast, easy and affordable. I’ve roasted every fruit you can possibly think of, from berries to grapes to strawberries. Spoon roasted raspberries over warm brownies, add a dollop of whipped cream. All you need is a fork and a napkin. What a delicious, fast and easy dessert option. Lightly grease a large rimmed baking sheet with non-stick cooking spray. 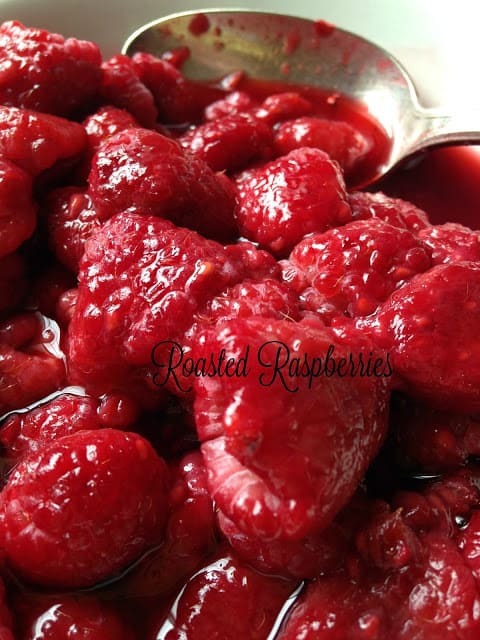 Place raspberries in a large bowl and lightly toss with sugar and vanilla extract. 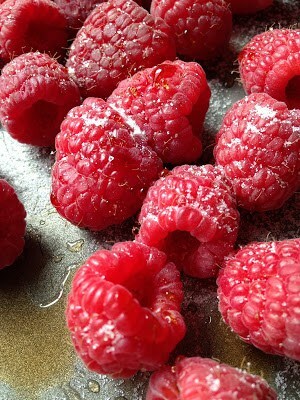 Transfer raspberries to prepared baking sheet and arrange in an even layer. Bake 10 to 12 minutes or until raspberries are tender but still have some shape to them. Allow to cool slightly before using, to allow excess juices to be released from the berries. Spoon over ice cream, pound cake (my favorite, lemon) or cake.